XL 6300 x 4200px 15 Mb. Blue Angels Navy Demonstration Squadron performs October 2,3 and 4 at 2015 Miramar Air Show in San Diego, California. 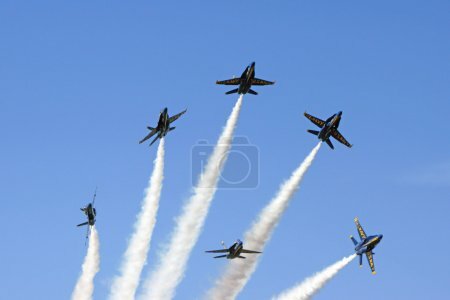 The 2015 Air Show features the Blue Angels and military aircraft performing for the public.